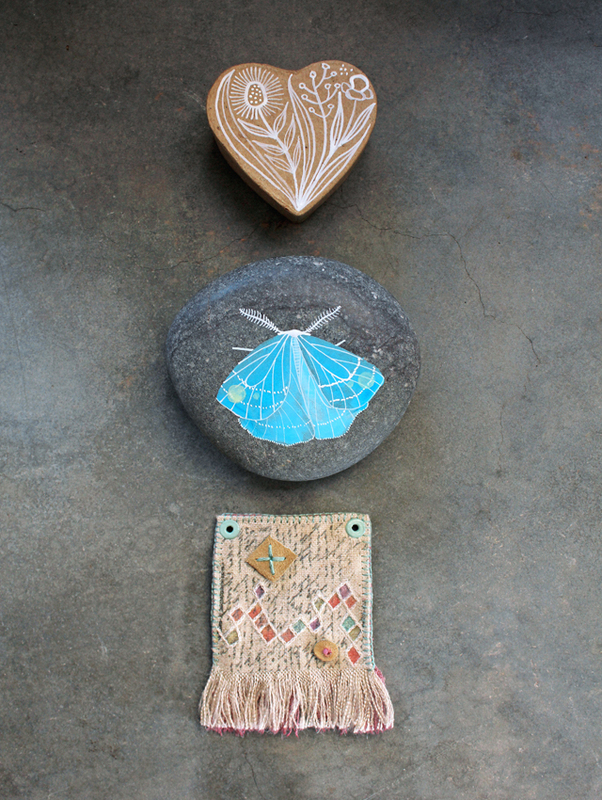 a heart shaped box, a moth stone & a fabric pendant. 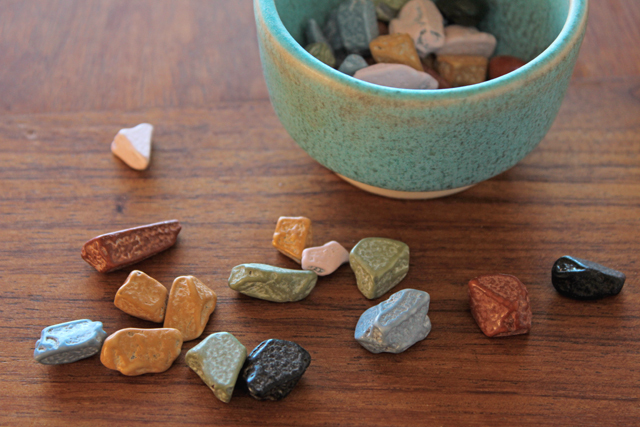 Can you believe these beautiful pebbles are actually candy covered chocolate? Prettiest candy ever! And they taste really good too! They're now decorating my coffee table.